I'm oldtopman, a hobbyist game developer writing games aimed at Linux. First, we must begin with the definition of minimalism. A lot of people seem to believe that it means “Cut the most corners”. Merriam Webster defines minimalism as “a style or technique (as in music, literature, or design) that is characterized by extreme spareness and simplicity”. What’s the difference between “cut corners” and “extreme sparseness and simplicity”? Allow me to show you an example. Two of these computers are designed to be high performance machines. Two of these computers are expensive. One of these is designed to be cheap. One of these is designed to be elegant. Take a look at the elegant machine. How does it achieve its elegance? It DOES NOT achieve that elegance with multiple wrist rest colors, text everywhere, and offset keys on the trackpad. It DOES NOT achieve its elegance with multiple seams and separate parts for everything. The elegant machine is elegant because it DOES NOT have any of those things at all! The elegant machine is elegant because it is missing pieces. You might even say that it’s sparse, or simple. Allow me to say this more bluntly. The Dell is your average Ludum Dare game. Not very elegant, but powerful and functional. Nothing wrong with it, especially when we’re working under such a time crunch. 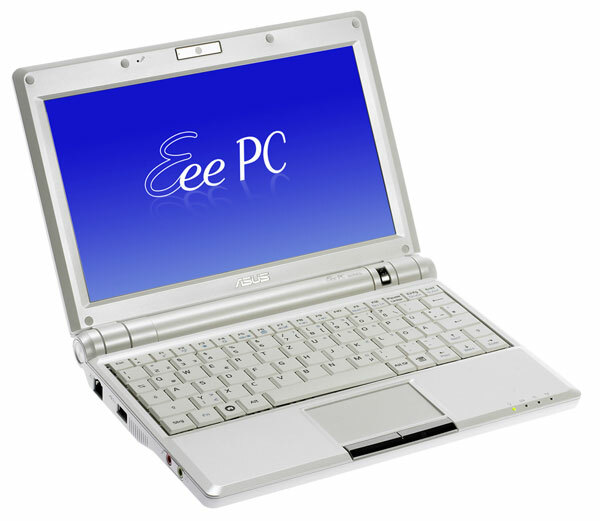 The Eee PC is what you all think minimalism means. Fast, cheap, crappy. Barely functional. Making this is a cakewalk for those of you that made Dells for the past few years. 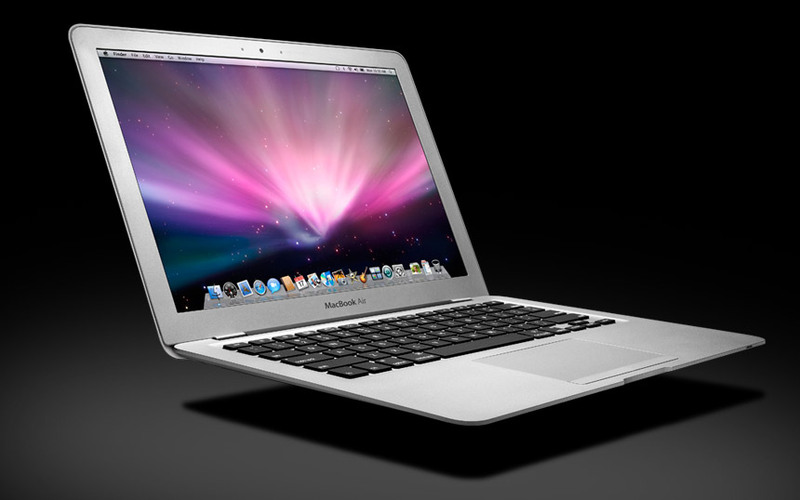 The Macbook Air is what minimalism means. The gameplay is smooth, intuitive. Certainly, the menus are sparse, but you don’t need them; you write the game so that you don’t have to add them. In doing so, you make a game better, smoother, faster, and more appealing. Why mask your gameplay behind menus and buttons? Minimalism is removing every possible obstruction between your core gameplay and the gamer. That’s my opinion anyway. I have no doubt that we’ll see a ton of Eee PCs. I didn’t write this to magically force everyone to make Macbooks, I wrote it to explain that minimalism is a Macbook and not an Eee PC. P.S. – I don’t care whether or not you think Apple computers are overpriced/evil/whatever. That’s not the point here, so don’t argue about it. P.P.S. – Buy my game. For my 6th Ludum Dare entry, I will continue my long lineage of ASCII games. Should any musician be crazy enough to join me with my endeavors, I will also be using SDL_mixer. I am proud to announce to the Ludum Dare community that I have finished my entry in the 2011 October Challenge. The game is “Project: Wheatgrinder” and can be had for the unbelievable price of $2 here! I’m here to participate in Ludum Dare 25, and as demanded by my adoring fans (requested by one person on IRC), I will be making another console game. The emphasis on my game this time is not in the game itself, but in porting it to Windows, which I’ve struggled with in the past. You can find the libraries that I’m using (in addition to ncurses) here. I’m proud to announce that I’ll be able to compete in the Ludum Dare 24 compo. I will be using someone of my own libraries, and as such, they are, open-source and free for everybody to use. You can download/gawk at/go to praise them here. You may have noticed something about my libraries. They’re for the command line driver “ncurses”. That’s right, I’m going retro – this is going to be a command-line entry. I may use SDL for sound if I have time for that, but that’s the plan. Anybody who wants to watch me work during the compo can catch me on IRC with the nick “oldtopman”. Binaries will be released for Linux 64 bit, then cross compiled as soon as I have access to my other machines. Also, for the first time, I will *not* be hosting other people’s entries. Dropbox has a fully functioning web host function, and their uptime surpasses mine by miles. If you need some help setting up Dropbox, or if you don’t have an account, sign up here and find me on IRC. Blackbird and joekinley’s “Cracked” – A new take on gameplay typically reserved for RPGs or tower defense games. emveyh’s “70 Seconds Left” – Not sure what this has to do with the theme, but it’s some of the best fun I’ve had here. Fireblend’s “Disregard All Humans” – Kill all the people and crush the cities before the world shrinks into nothingness! Tompudding’s “Giant Wizards from the Outer Rim” – A multiplayer game that has a lot of potential and is fun to play as it stands. josefnpat’s “Pocket Strife” – A real time strategy where you have to build up a city and defenses as quickly as possible. Since you’re still reading this, don’t forget to try my game out. So, how many of you make web games, but have to pack it into a .zip file and have people download it? NO MORE! I have a server that I run myself (no jokes please), and I’d be more than happy to host your game for Ludum Dare. Just to note, you might want to keep a spare download *just* in case. If you’re intrested, send me an email with a link to the zip, and I’ll have it up on my server. My email address can be found here, though you’ll need to fill out a captcha first. Of course, I may be busy, so I may not get the links up until just after the compo. I’m hosting webgames. Email me with your games and I’ll send you a link to your game. My email address is here. Where have I gotten off to? I didn’t feel like spamming the IRC channel with constant updates, so all of my news is on twitter.com/oldtopman. The same as last year, I will be offering free hosting during the end of the competition. I’ll be on IRC during the very end, so PM me and I’ll see what I can do for you. I want to give all you people working on flash games a place to upload your stuff do people can play them without downloading it PM oldtopmanserver and I’ll check on it about once a day, PM oldtopman if I’m on. Best of luck to all of you in the competition and may the best game win! P.S. I’ll be hosting the games until the next Ludum Dare. EDIT: You can post a reply here too. 24 queries executed in 0.093 seconds.